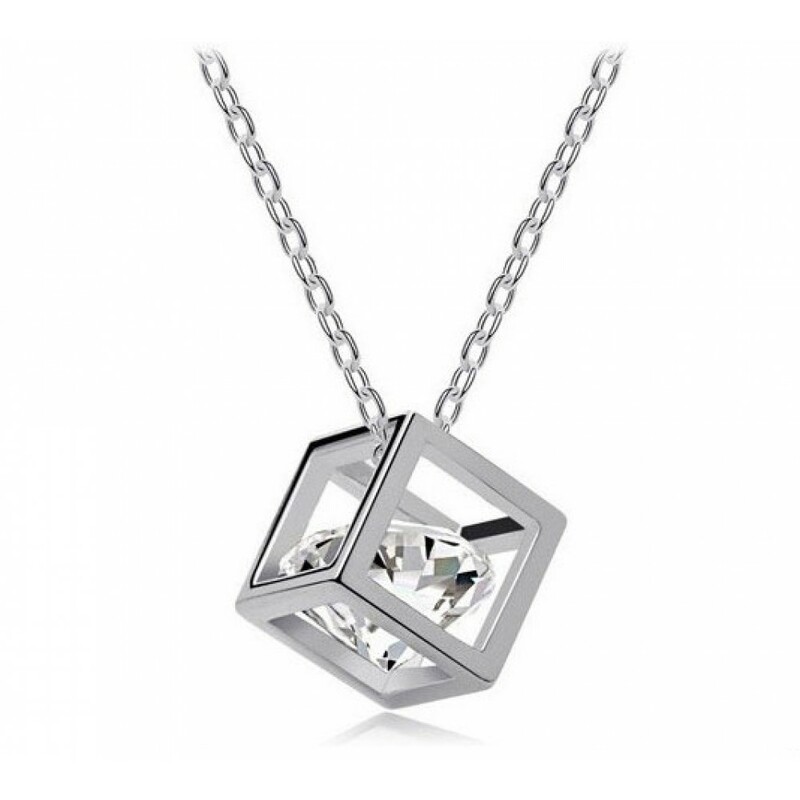 This stunning Rhodium Plated cube pendant is a perfect accessory for any outfit and will be sure to make you the centre of attention. The pendant consists of a hollow cube that measures 8mm squared with an eye catching crystal in the centre. This beautiful pendant hangs from a 16-18 inchRhodium Plated chain and comes presented in its own branded luxurious gift box.